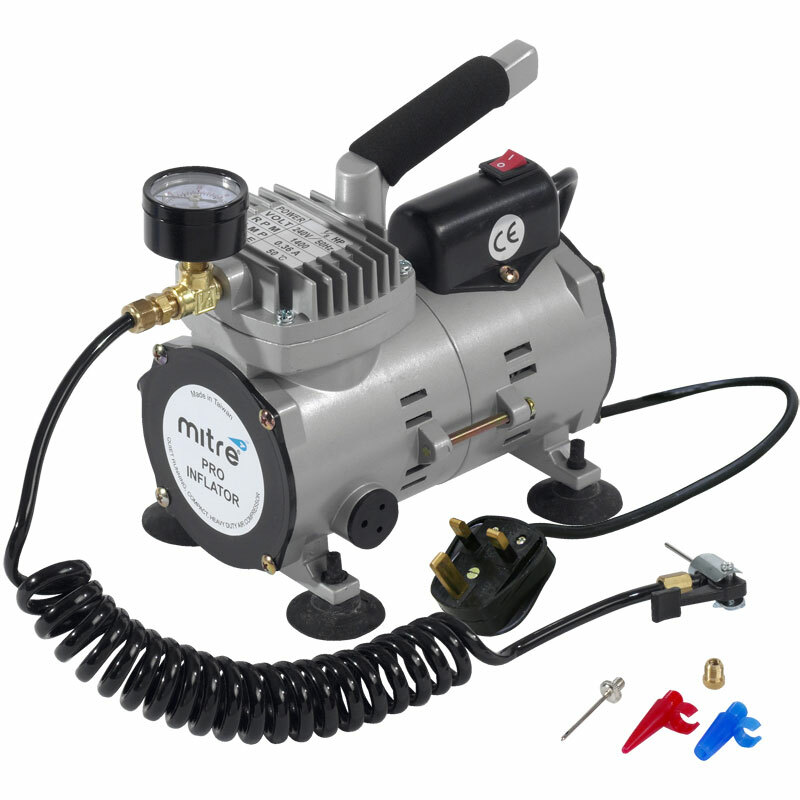 The Mitre ® Compressor is ideal for inflating all types of sports balls, making it an essential part of any team kit. Electric 13amp, 240 volt, plug. Will inflate a ball in approx 30 seconds. Bar 60lb per square inch max. (no oil needed). Complete with a 7mm and a 5mm needle adaptor. Brilliant piece of kit! Very happy with purchase, pumps up our netballs very quickly. Well packaged and was delivered promptly. A good ball pump,blows balls up quick enough and fairly sturdy. Does get warm but not hot when pumping lots of balls, but that's expected.